We explore Iceland from the amazing south coast to the spectacular Eastern Fjords in our small group Iceland photography workshop! 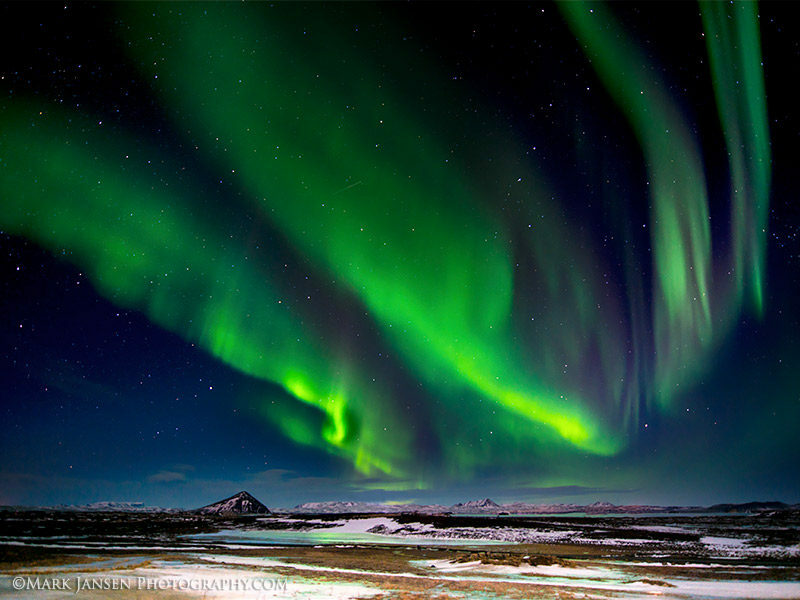 In this 8-day Iceland Aurora Borealis photography workshop, we work closely with you on your photography skills as we travel the south coast and Eastern areas of Iceland. In the evenings, we will provide image critique and Lightroom editing coaching when we are not out capturing the landscape. You’ll learn how to get that amazing landscape image from the perfect locations when the light is optimal! There’s nothing like that feeling of knowing you’ve got that trophy shot! 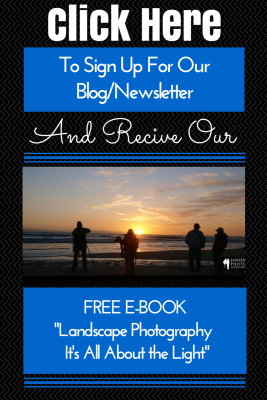 Only 6 creative adventurous photographers will be joining us on this trip. 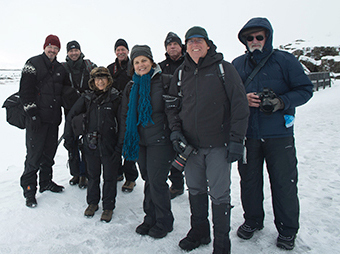 A small group size ensures you will receive generous personal photographic coaching in the field from 3 full time working pros, providing an intimate outdoor photography workshop experience. This area of Iceland is a magical place. 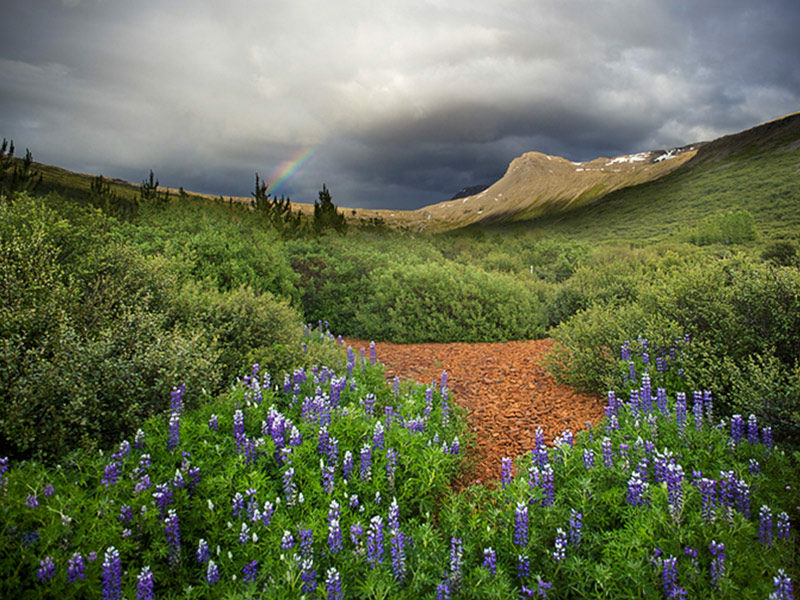 You will be photographing high mountains, deep fjords, waterfalls and sea cliffs. Because of distance from Reykjavik, the East Fjords are less traveled than most areas in Iceland, which is always a plus for photographers! 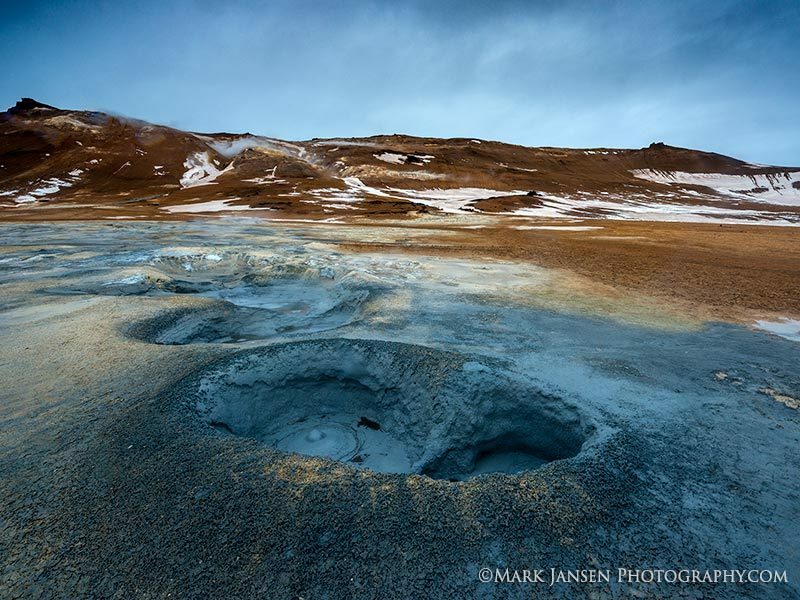 We are the Iceland Photography Workshop Experts! We will be bringing you to outstanding rural locations in Iceland while exploring photographic waterscapes and coastal features during our Iceland photography workshop. As our small group travels from Reykjavik to the South Coast to the Eastern Fjords, we will experience stunning sea stacks, breathtaking cliffs, incredible fjords, glaciers, and small and medium-sized villages. You will be hiking on uneven dirt and icy snowy trails in some locations, sometimes walking 1 to 2 miles at a time. Total daily hiking could be 4-5 miles with all of the different photo stops. Icelandic horses offer amazing photographic opportunities and are a breed apart. Noted for their small stature and beautiful coats, they roam the vibrant landscape. We take advantage of the best roadside opportunities as they arise. We will be traveling as a small group (Maximum 6 people), allowing for a comfortable schedule filling our days with rewarding photography opportunities all around the region. 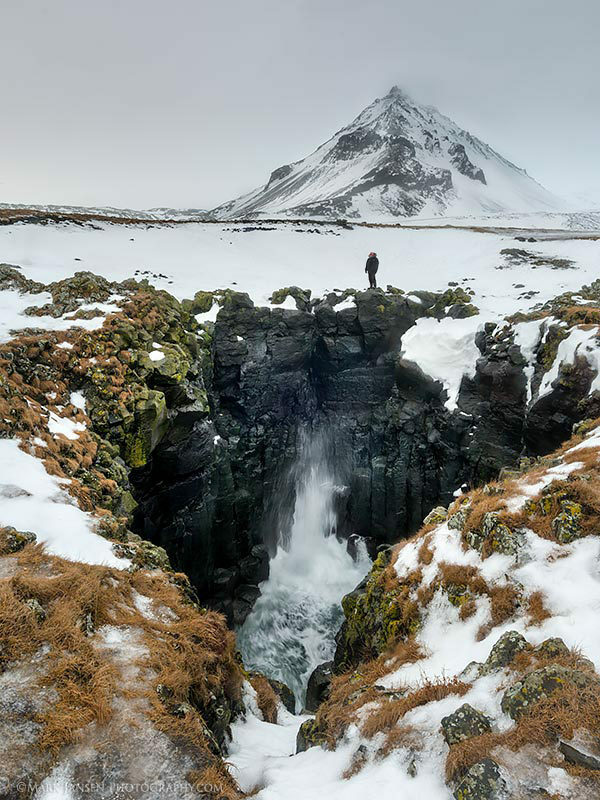 You will be escorted by three experienced landscape photography professionals, Mark and Holly Jansen and their Icelandic photography instructor and counterpart. Arrive in Reykjavik and we will assemble in the evening for our pre-workshop meet and great and orientation for the upcoming trip. Dinner is on your own this evening. 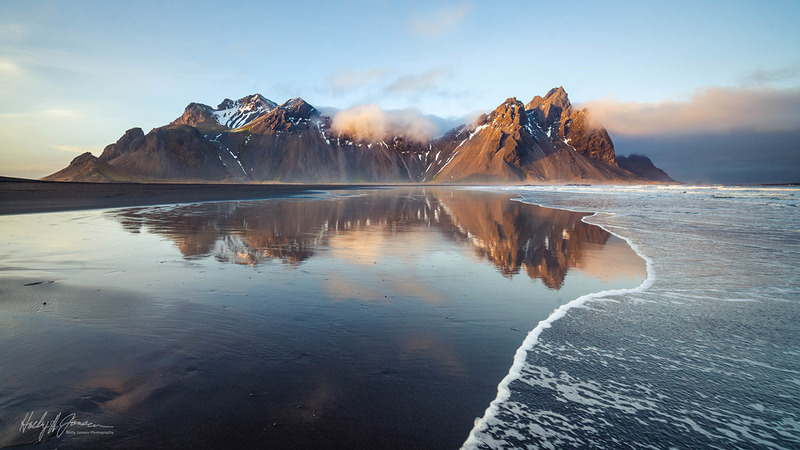 The South Coast is different from any place in Iceland, old volcanic fields, jagged cliffs along the coastline and black sand beaches make it a unique location. We will be exploring this area with its sparkling fjords, dramatic volcanic peaks, sheer sea cliffs, and sweeping black beaches which make up this diverse and fascinating landscape. The area is crowned by the glistening ice cap Vatnajökull. 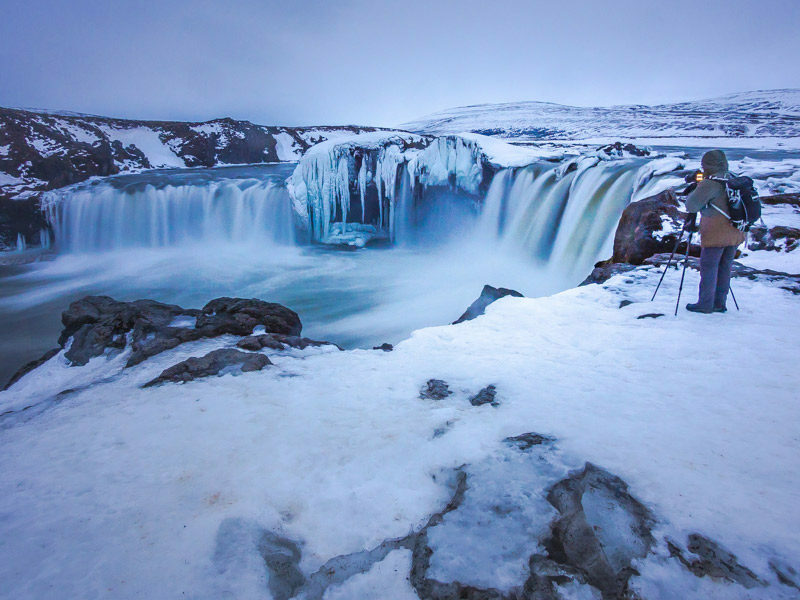 Some of the highlights include the Skógafoss and Seljalandsfoss waterfalls. West Iceland’s interior is one of the hidden gems of the country. Farmlands, lava fields and spectacular waterfalls dot the landscape. We will travel to Hvalfjörður and explore the unique beauty of Icelandic fjords, with its slopes, shores, canyons, and waterfalls. Glymur, the highest waterfall of Iceland is in Hvalfjordur. 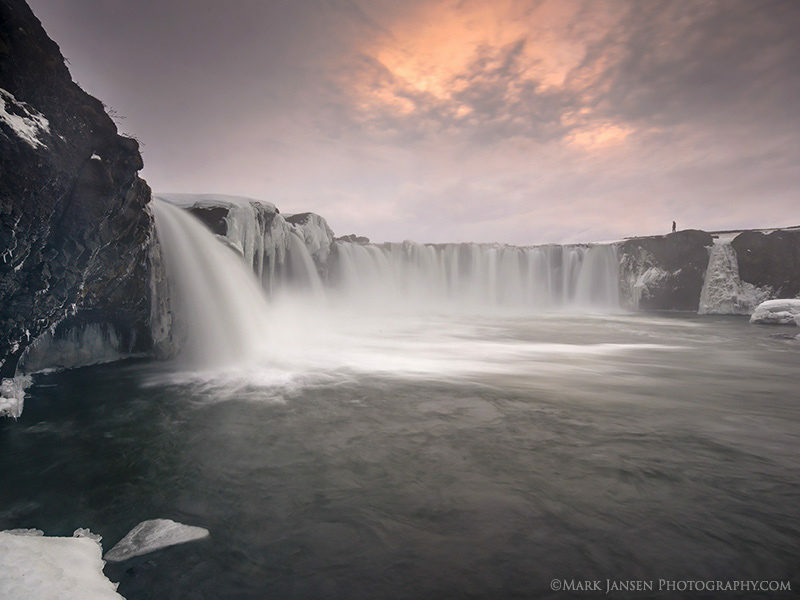 We will be shooting the waterfalls of Hraunfossar and Barnafoss, the two best-known natural features in Iceland. Hraunfossar (Lava Falls) are gentle cascades of bright, turquoise water, emerging from under the moss-covered lava tumbling down a series of rock steps into the river. We will then visit the beautiful river Geitá in West Iceland which runs through a narrow crevice in an ancient lava field. We will be traveling through the South east coast of Iceland, home to old farmlands rich in history. Basalt columns, strange sea stacks and the smallest village in Iceland will be our photographic subjects. We will be visiting Kolugljúfur, a deep, rugged gorge containing a series of cascading waterfalls as well as another interesting lighthouse in Kálfhamarsvík. We will continue our Iceland Photography Workshop to Hvítserkur, a 15 m high basalt stack along the eastern shore of the Vatnsnes peninsula. The rock has two holes at the base, which give it the appearance of a dragon who is drinking. 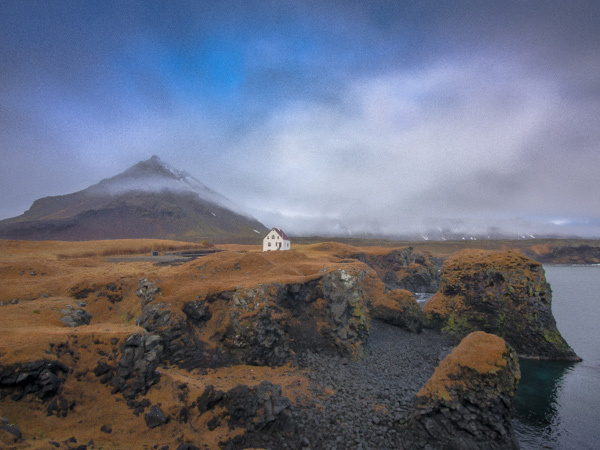 Weather permitting, we will be shooting the lighthouse in the late afternoon at Kálfhamarsvík. We will be traveling along the coastal roads of the Westfjords and will visit one of the biggest and most beautiful waterfalls in Iceland, Dynjandi waterfall. We will be exploring the area around the large fjord of Arnarfjörður which is entirely a nature reserve. Thickly vegetated with rowan and birch, Trostansfjörður is a very isolated and peaceful place to photograph. South Iceland features some of the oldest geology compared to the rest of this volcanic island. Some of the biggest waterfalls and the only real forests in Iceland reside here. We will be visiting Akureyri Village, the largest town outside the capital region. It is a center for culture and education with strong historical roots and numerous tourist attractions. 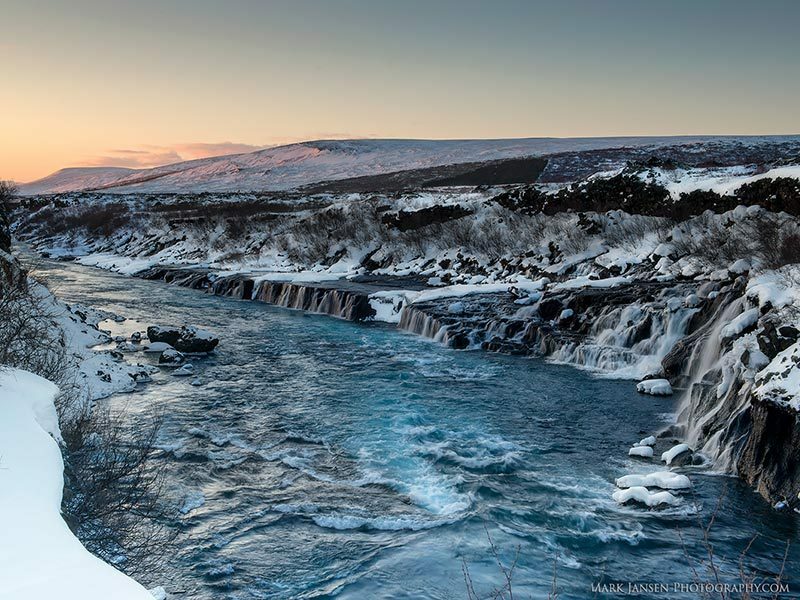 Goðafoss will be one of our sunset location, one of the most spectacular waterfalls in Iceland. The water of the river Skjálfandafljót falls from a height of 12 meters over a width of 30 meters. 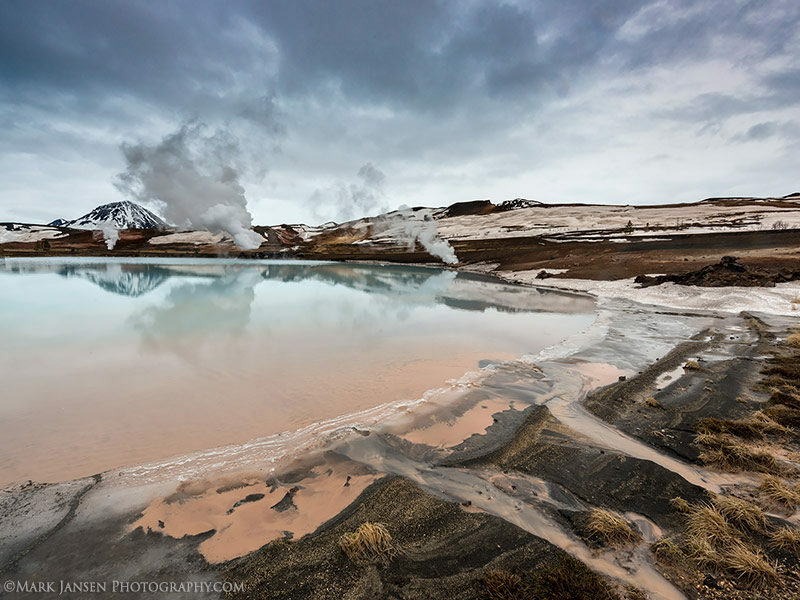 The north side of Iceland is rich in geothermal activity, with amazing colors and geology. The Mývatn basin sits squarely on the Mid-Atlantic Ridge and the violent geological character of the area has produced an astonishing landscape unlike anywhere else in the country. Our tour takes us to Mývatn which is a shallow eutrophic lake situated in an area of active volcanism. The surrounding landscape is dominated by volcanic landforms, including lava pillars and rootless vents. Dimmuborgir is a large area of unusually shaped lava fields east of Mývatn. 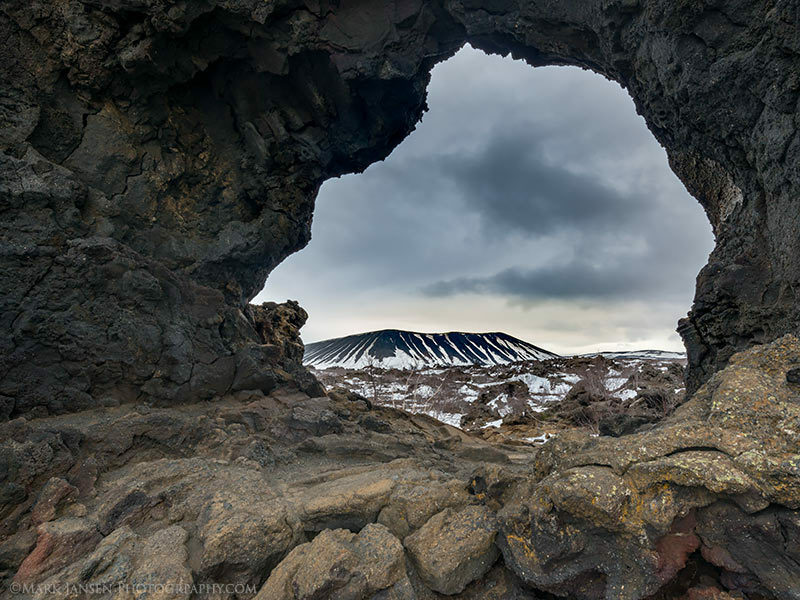 The area is composed of various volcanic caves and rock formations, reminiscent of an ancient collapsed citadel offering numerous photographic compositions. We will then continue to the dirt-brown crater of Víti which reveals a secret when you reach its rim – a dark blue pool of floodwater at its heart. Behind the crater are the ‘twin lakes’, boiling mud springs. 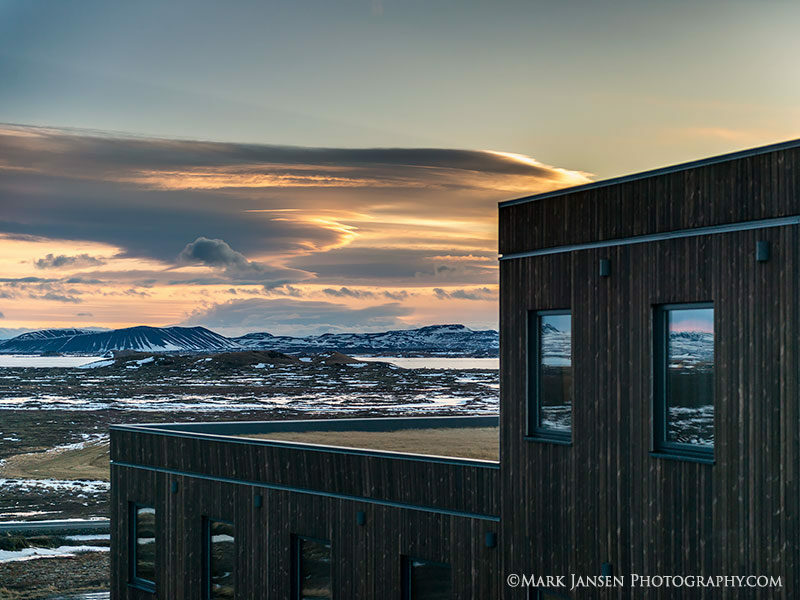 We will be shooting sunset at Mývatn Lake, weather permitting. It’s the undisputed gem of the northeast. Mývatn Lake and the surrounding area are starkly beautiful, an otherworldly landscape of spluttering mudpots, weird lava formations, steaming fumaroles and volcanic craters. 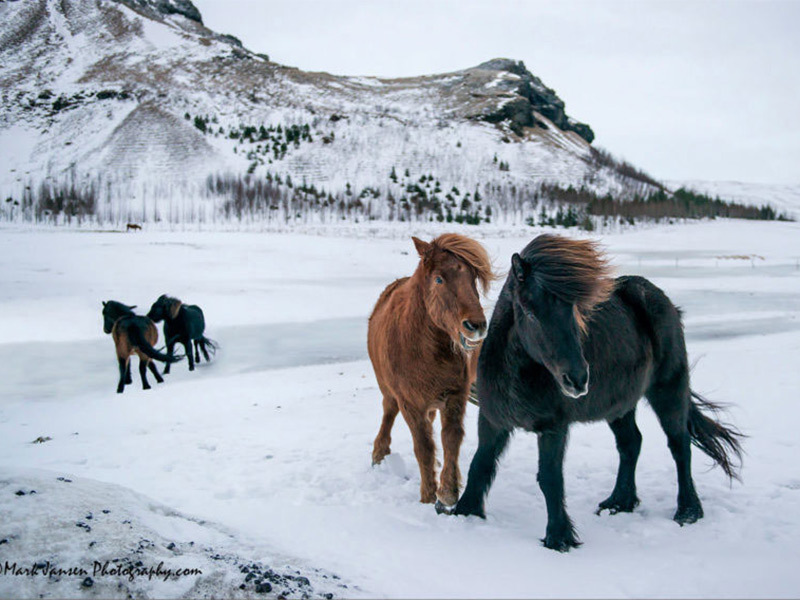 In-between the rugged landscapes, we will photograph Icelandic horses that dot the landscape. We will be heading to Dettifoss, a waterfall in Vatnajökull National Park in Northeast Iceland. It is reputed to being the most powerful waterfall in Europe. With the greatest volume of any waterfall in Europe, this truly is nature at its most spectacular. 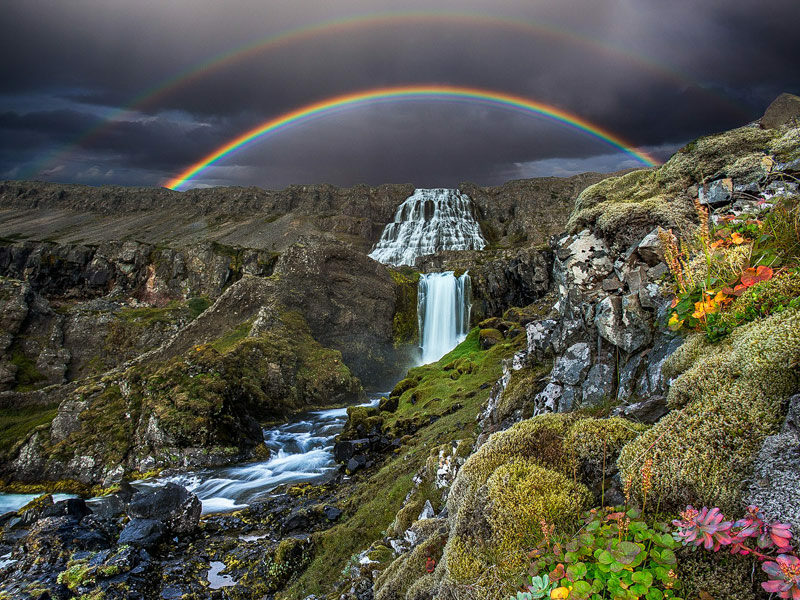 On sunny days, brilliant double rainbows form above the churning milky-grey glacial waters. We will then continue to the lush Ásbyrgi canyon. Near the center of the canyon is the prominent outcrop Eyjan, and towards the south, the sheer, dark walls rise up to 100m. The cliffs protect a birch forest from harsh winds and hungry sheep, and the trees here grow up to 8m in height. We will then visit Hafragilsfoss, one of the three waterfalls of river Jokulsa a Fjollum. This crater is one of the hundreds on the country’s longest eruptive fissure. The mighty waterfall Dettifoss in the North of the country is a must see. The power of this waterfall will leave you speechless. We will then continue to Selfoss, another waterfall on the river Jökulsá á Fjöllum. The river drops over a number of waterfalls before flowing into Öxarfjörður, a bay of the Arctic Sea. The river originates as meltwater from the glacier Vatnajökull and therefore the water flow varies depending on the season, the weather and volcanic activity. 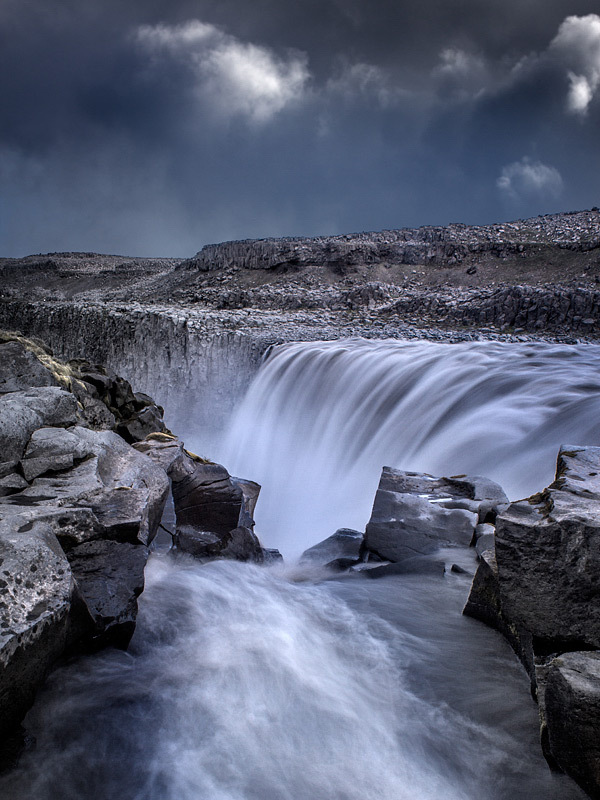 We will be shooting the sunset at the waterfalls at Dettifoss East, weather permitting. • All meals and lodging included in price during the workshop. Lodging is in clean comfortable guest lodges throughout the country. • Food and lodging before and after the workshop dates are not included. Suitable hotels for the nights you would like to stay in Iceland outside of the workshop dates can be suggested at reasonable rates.